Welcome to my first blog post :) I am quite new to blogging and I hope I can make some interesting posts. Most will be on Japanese fashion and I am hoping to make some tutorials in the future! Anyways, I should start off by saying I really enjoy modifying clothes and creating my own accessories so below is an example of a denim jacket I bought cheap off ebay and customised. Please make sure to buy a white waistcoat rather than light denim if you can! I had trouble finding anything white in my size I attempted to bleach it which was nearly a two day process. It still wasn't completely bleached and there were some patches leftover. The colours I went for are lavender and pale pink and as you can see the colours would have been much more vibrant had I used a white waistcoat but I am still proud of the outcome :). I used fabric dye by Dylon and used studs from an old belt I never use anymore. I learned quickly that putting studs on a jacket and trying to align them neatly is one of the most tedious things you can do -o-"
I used 3-D fabric liners which was also recommended by Mio of Pastel-raindrops to create the text and dribbles on the shoulders :). Just get creative and come up with your own designs ! 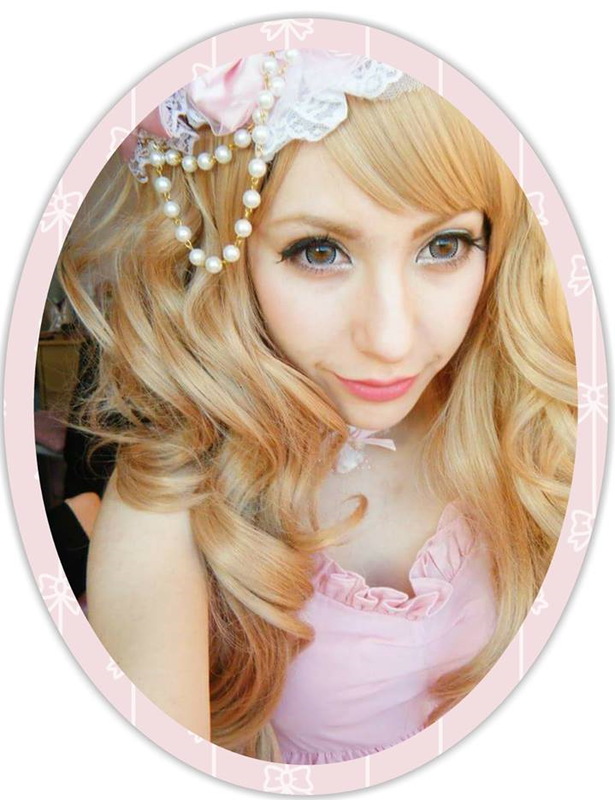 I am also going to do my first attempt at Hime Gyaru for the next Hyper Japan coming up and I found the shoes the hardest to find. Most Hime Gyaru's wear the heart heels by DreamV, unfortunately they sold out a very long time ago, so I got creative. The white shoes were purchased from ebay and everything else was hot glued onto the shoes and a purchased from a haberdashery stall in my local market.